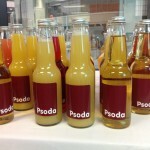 Earlier this week, I offered an overview of the first half of the Psoda Wellington User Community meeting held last week. In this post, I’ll look back at the second half of the day which consisted of two panel discussions – one on Programme and Portfolio Management (PPM) and the other about the Project Management Office (PMO). The PPM panel kicked off right after lunch, which incidentally was very well catered (you certainly get fed well at these events! 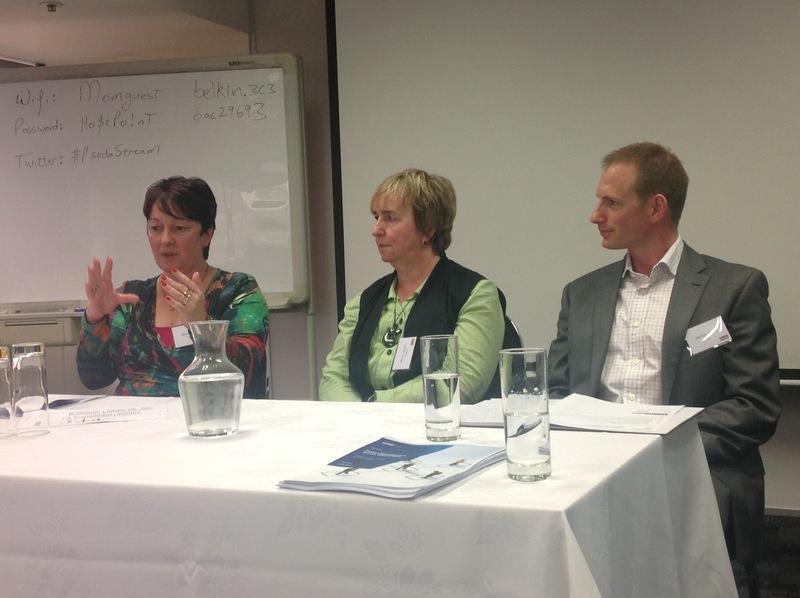 ), and featured Gina Barlow of KPMG, Steve Scrivener of MPI and Ross Whiteman of Central TAS. The talk started with a good discussion on the top challenges in PPM today. These were identified as benefits realisation, resource management and a lack of rigour in business cases. Indeed, Gina Barlow stated there’s little evidence of effective use of portfolio management across New Zealand, drawing from the results of the recent KPMG project management survey. She added there’s a certain arrogance among project managers with an unwillingness to learn from previous mistakes, which means issues like the NovoPay debacle are likely to repeat themselves. Although project failures like that aren’t specific to New Zealand, being smaller with less money to spend, we need to be smarter and hold people to account more, Gina said. “A significant portion of programmes or projects organisations don’t define what success looks like so they can’t decide if they’ve failed or not,” she added. And even where there is a strategic objective, there’s often no “map of the journey” that those who have to build the mechanisms or structures to achieve success can use, added Steve Scrivener. “So often interventions aren’t well lined up and there are lots of big gaps,” he said. Ross Whiteman pointed out that some of these practices go to the heart of how an organisation is operated and managed. The final session of the day was the PMO panel featuring Gina Barlow once again, as well as Mhairi Golder of Transpower and Martyn Bayly of the DIA. This topic was certainly relevant considering the 2013 KPMG project management survey revealed a decline of nearly 30% in the number of PMOs across New Zealand since 2010. And the first question to the panel tackled this head-on: what makes or breaks a PMO? For Martyn Bayly, executive buy-in was essential for PMO success. However, Gina Barlow pointed out that successes or failure don’t necessarily determine the fate of PMOs, saying they generally have a very short lifespan of two to three years, and get set up and disestablished again in cycles. She added PMOs often become the victim of their own success. When everything goes well, their role becomes less evident. Other key reasons for why PMOs fail include that they’re not set up at the proper level, don’t have a clear brief and don’t do enough to promote their value, said Gina. PMOs can help ensure their success by earning business owners’ trust and aligning themselves to the organisation’s strategies, added Martyn. As to the value PMOs deliver, Gina said that having a PMO significantly increases an organisation’s ability to deliver projects on time and on budget. Martyn added PMOs can help improve commitment from business owners and stakeholders. So how do PMO managers deal with critics in the organisation? “The best way to respond to a squeaky wheel is to put in earplugs and ignore them!” suggested Mhairi.